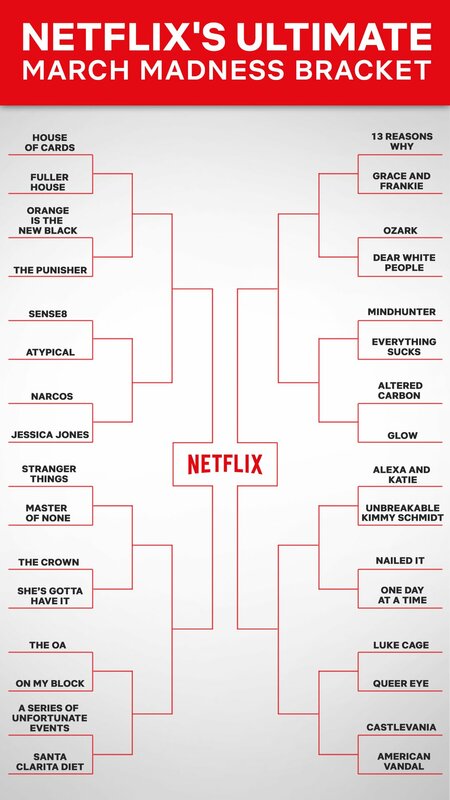 My second in a series of brackets will focus on Netflix, after the infamous Disney vs. Pixar bracket…and if you have any ideas for future ones, send them my way! Nailed It vs. One Day at a Time – Nailed It — Mmm, food. Castlevania vs. American Vandal – American Vandal — Mockumentary > Animation? 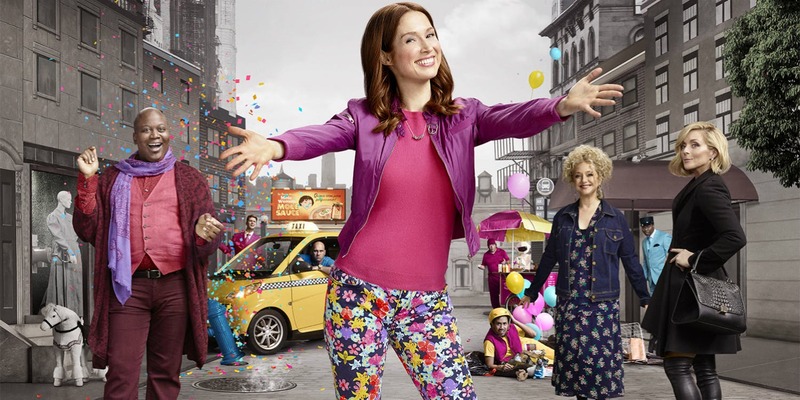 Unbreakable Kimmy Schmidt vs. Luke Cage – Unbreakable Kimmy Schmidt — It’s a miracle!